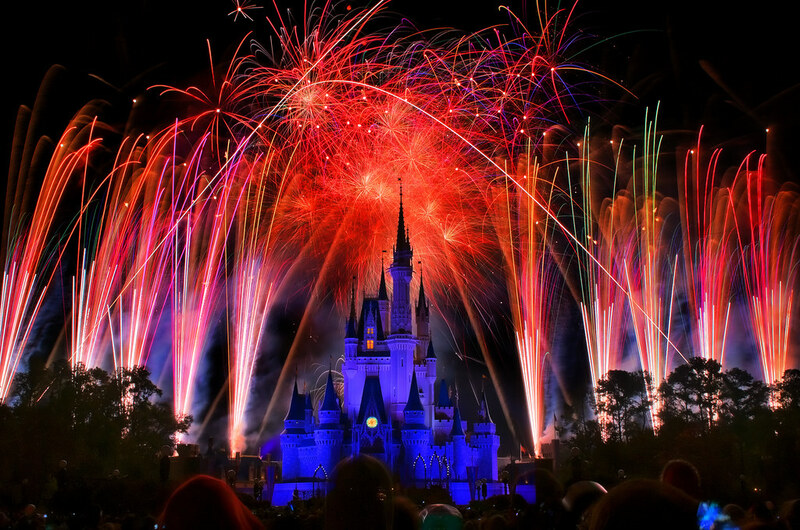 We chose the title picture as we just enjoy the way it captures the colors and excitement of the Disney Magic Kingdom fireworks against the back drop of the Cinderella Castle. The colors on this Disney Cinderella Castle are spectacular and it is interesting because it shows a different view than most of the pictures. 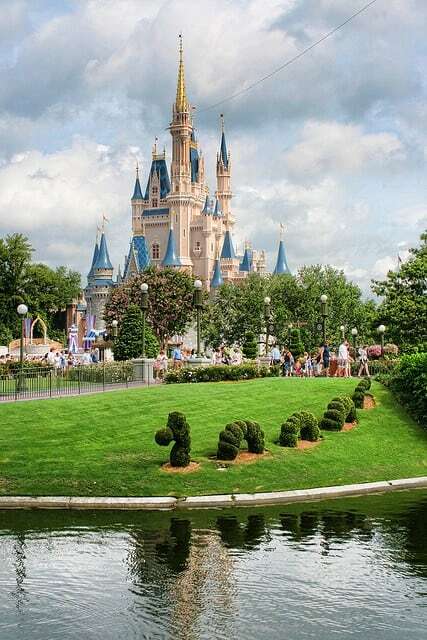 The wonderful thing about this photo is not just how well it captures the Cinderella Castle but also for the very fun topiary in the fore ground. 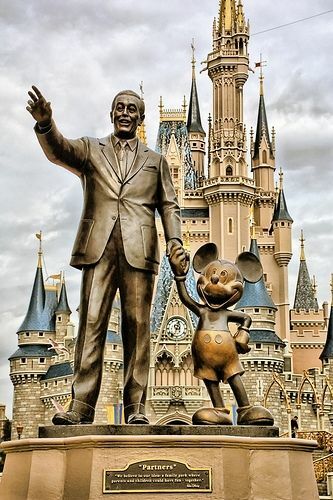 What is great about this photo is that it shows the Cinderella Castle and the iconic Partners Mickey Mouse and Walt Disney statue. 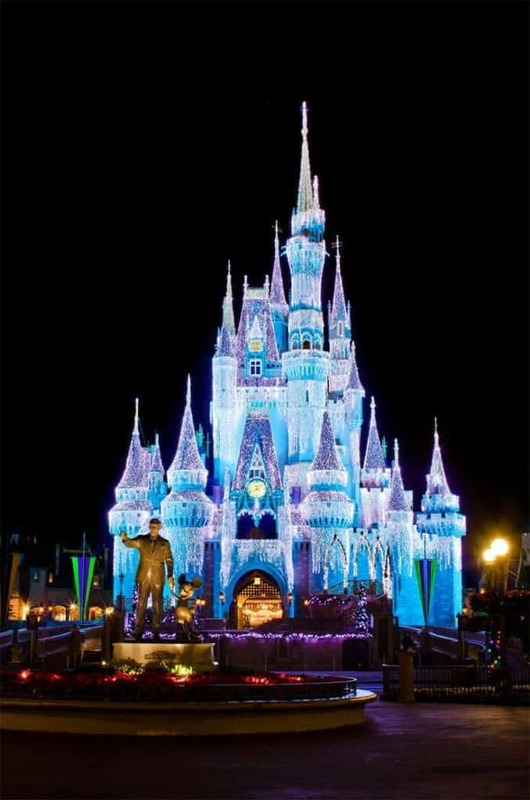 This picture of the Disney World Cinderella Castle at Christmas is magical. 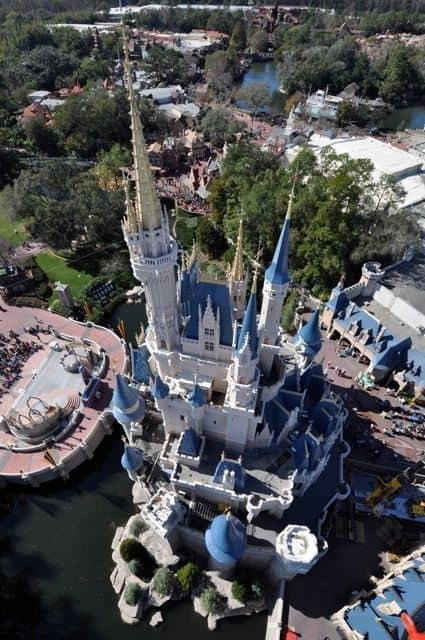 This is a very unusual ariel view of Cinderella Castle. 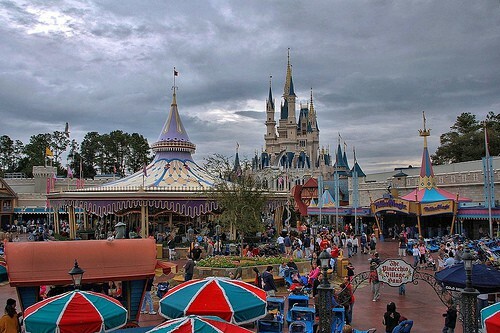 This gives a very different view of Cinderella Castle from Fantasyland. 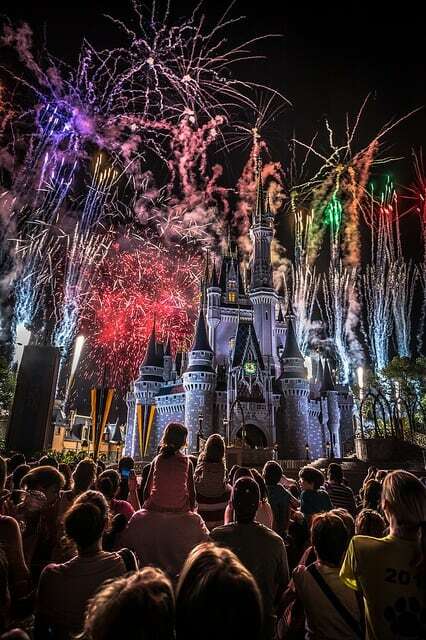 This is a view that very people ever get to see – inside Disney Cinderella Castle. 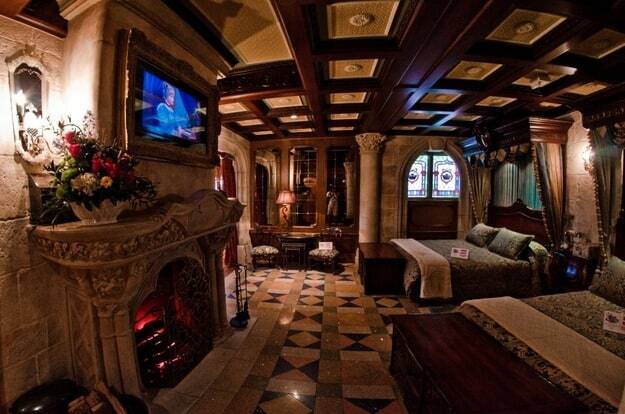 One of the most exclusive suites in the world – money simply cannot buy a night in Disney Cinderella Castle. we thought a while before including this one – but decided to as it really helps us appreciate how beautiful the Cinderella Castle is. 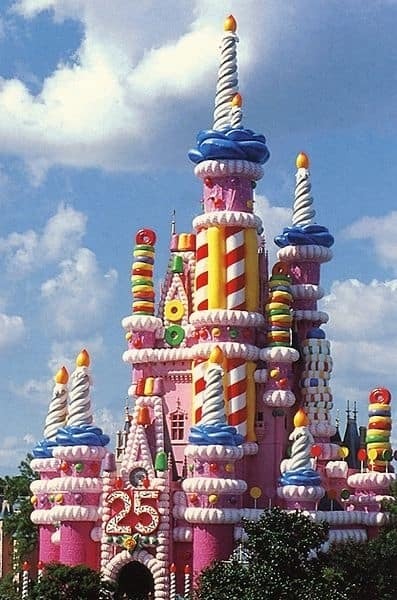 And what a huge mistake this 25th anniversary of Magic Kingdom decoration really was! 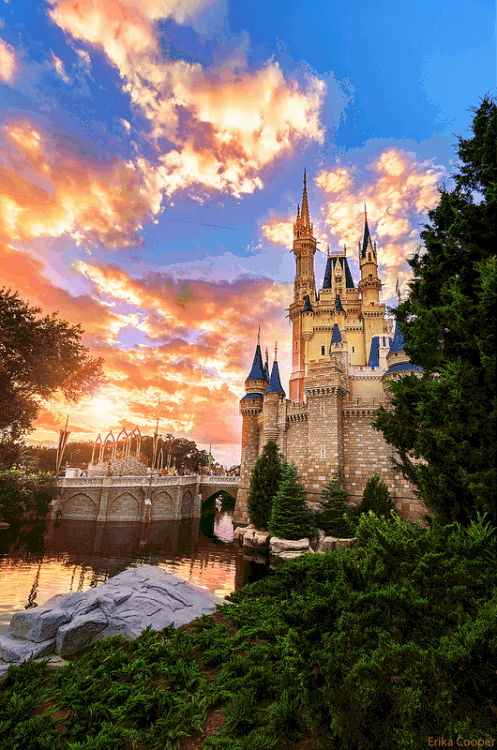 Which is your favorite Disney Cinderella Castle picture?